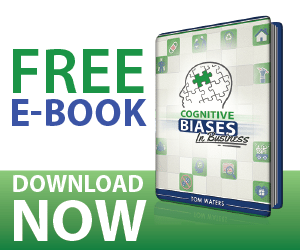 What is the Leveling Cognitive Bias? Leveling is the tendency to keep out or tone down parts of a memory to and recall items as an evened-out “average”. Leveling happens all the time in sales training and presentations. “We can save you up to 30% on your shipping.” becomes “We can save you 30% on your shipping.” The major difference between those sentences is one is a generality and the other is a mistruth. It’s a natural part of human nature to consolidate and condense our presentations. Whether the example stems from laziness or concern for effectiveness, it is an important issue that needs to be addressed. Prospects, colleagues, affiliates and partners may interpret accidental leveling as willful deceit. When training or pitching, recognizing and correcting Leveling can be overcome through consistent review, rehearsal and practice.